Yanni has released his new studio album "Truth of Touch" featuring new instrumental compositions on 8th of February 2011. 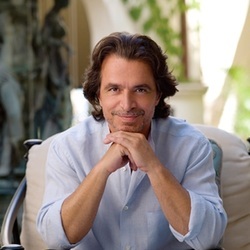 Post finishing a 44 city tour of USA / Canada and a very successful World Tour which included first-ever performances in Middle East, Yanni and his band performed and recorded his two night performance at Puerto Rico for the upcoming CD / DVD release in 2012. Yanni has already announced a major USA / Canada tour starting April 2012. There are a lot of exciting things ahead for Yanni. Check back to www.Yanni.com for tour and new music updates.